The EurOPDX Consortium and EurOPDX Research Infrastructure enables the furtherment of all aspects of PDX research by; 1) facilitating PDX model sharing and providing access, 2) promoting bi-lateral and multi-lateral collaborations, 3) raising procedural and ethical standards, 4) organising meetings and workshops to share research, and 5) developing IT infrastructures to display the resources of the consortium. The protection of personal data is extremely important to the EurOPDX Consortium and EurOPDX Research Infrastructure (RI). Therefore, we observe national and international guidelines regarding data protection, in particular, the most recent European Union’s General Data Protection Regulation (GDPR). The following text describes when, why, and how we may collect personal data across all of the EurOPDX activities and services. We reserve the right to update or amend our data protection methods in order to ensure that they always comply with applicable laws and regulations, or in order to implement changes in the activities and services listed in this data privacy statement. Your data will be processed exclusively based on EU GDPR, and relevant national regulations for the above mentioned jurisdiction country. Definition in Article 4 of EU GDPR: “'personal data' means any information relating to an identified or identifiable natural person ('data subject'); an identifiable natural person is one who can be identified, directly or indirectly, in particular by reference to an identifier such as a name, an identification number, location data, an online identifier or to one or more factors specific to the physical, physiological, genetic, mental, economic, cultural or social identity of that natural person”. As detailed in the present document, we collect your personal data for various reasons, such as to process service requests, to communicate with you on EurOPDX activities , or to organise services, access, and meetings. This may include information such as name, address, telephone number, and e-mail address, the kind of services used, as well as IP address, MAC address, browser type, and user name. Information that cannot be directly associated with your actual identity, such as the length of time spent on the website or the number of uses of the website, can likewise be data that can allow a person to be identified. When you contact us through one of our contact email addresses, the registration of interest and user feedback survey (using Survey Monkey and Google Forms), workshop registration forms, or Trans-national Access (TA) application forms), we require you to provide certain data, such as name and email address. We use this personal data exclusively for the purposes described upon data entry, and highlighted in section 5 of this data privacy statement. Personal data is not passed on to third parties except when we are authorized or obligated to do so by law (e.g. for contractual or criminal law enforcement) or when this is explicitly indicated below in section 5. It may be possible for unknown parties to read unencrypted emails that you send us, upon transfer. Where appropriate, we will use other means of communication (telephone, encrypted email, or contact forms). You have ultimate control over the data we collect. When you are asked to provide personal data, you may decline. But, if you choose not to provide data that is necessary to provide a service or feature, you may not be able to fully utilise that service or feature. Your personal data will only be transferred externally in cases necessitated by law, for example, to government agencies and public authorities as evidence in case of attacks on our network or infrastructure. Data will not be passed on to third parties for other purposes unless those explicitly stated in section 5 of this data privacy statement. The personal data we collect, store, share, or publicly display depends upon the resources, services and features you request. In general, we use data to communicate with you e.g. for answering general enquiries, sending updates, asking for feedback, organizing access to the PDX models, and informing you about EurOPDX activities. To keep you informed about future EurOPDX activities and services, email addresses are added to the EurOPDX contact list (see periodic activity updates by email below). Data that is submitted by you in the context of the EurOPDX RI Trans-national Access (TA) calls for SAMPLE, DEPOSIT, and TEST types includes name & contact information (affiliation, mailing address, phone number and email), gender, birth year, nationality, researcher status, scientific background, a list of publications, as well as a project description that may also contain personal information from additional researchers involved in the project. As part of the project assessment processes, this data is forwarded to members of the external TA Committee of evaluators (TA-CE) - a list of members of the TA-CE can be requested by emailing ta@europdx.eu. Members of the TA-CE are bound by a Non-Disclosure Agreement. This collected data will also be processed for the purposes or reporting to the European Commission according to the modalities of the Trans-national Access (TA) funding programme (EDIReX Grant No. 731105). To keep you informed about future EurOPDX activities and services, e-mail addresses are added to the EurOPDX contact list (see periodic activity updates by email below). Data that is submitted by you to the EurOPDX Data Portal helpdesk at it@europdx.eu will be forwarded internally to the relevant expert on the subject and used only for the purposes of answering the query. Queries may be stored to facilitate future improvements of service, and included as anonymised in a “Frequently Asked Questions” document. No data is stored about your searches via the EurOPDX Data Portal search function. The Data Portal, as part of the data related to PDX models, contains anonymised patient data and thus does not fall within GDPR coverage. The Workshop is co-funded by the EDIReX EU Grant, the EurOPDX Consortium and private sponsors. By registering to the Workshop, attendees agree for their limited contact details (name, affiliation, email address) to be provided to sponsors. To keep you, project partners, and members of associated communities updated about EurOPDX Consortium and RI activities, e-mails may be sent from time-to-time to the EurOPDX contact list. The e-mail addresses of persons who have used EurOPDX services, or who have informally enquired about them, e.g. via phone, e-mail, contact form, or in person, are added to the EurOPDX contact list. You can request removal from the EurOPDX contact list with an explicit request communicated to contact@europdx.eu - upon receipt and verification of request your details will be removed within 24 hours. For technical purposes, our servers save personal details when you make visits to our websites in the form of log files. Such data are only used for the immediate provision of web-based services, for troubleshooting purposes, or for attack detection and prevention. Raw data logs are only retained temporarily. The legal basis for such collection under GDPR is: Art. 6 (1) p.1 lit. f..
EurOPDX takes full responsibility for the contents of its online websites and services. However, we have no influence regarding policy compliance of websites that are linked to us in regards to data protection regulations. We therefore accept no liability for the contents of external websites. If you follow hyperlinks, data will be sent to that website's provider. When you navigate to external links and applications, the data protection guidelines of that particular provider apply. That provider is, then, solely liable for damages resulting from incorrect or even illegal contents on its website. 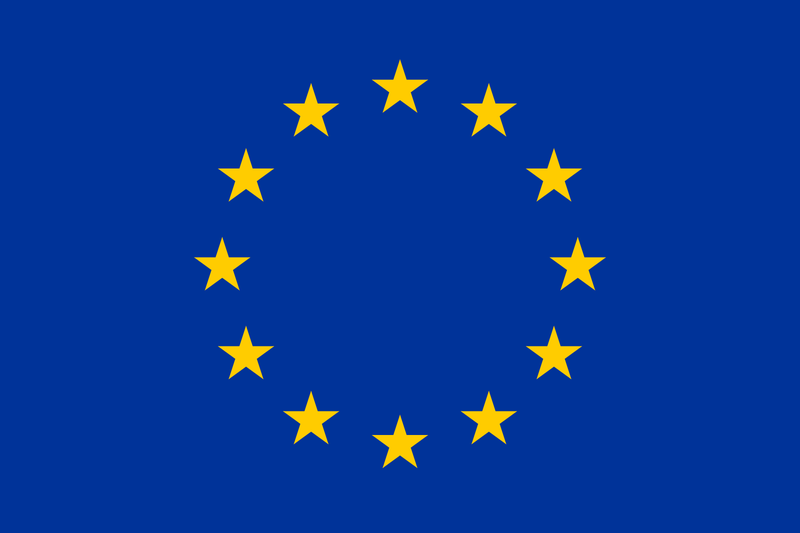 You have the right to revoke your consent for our use of your data collected from visiting EurOPDX websites and using our online services at any time and to demand, at no cost, information regarding the scope, origin, and receivers of their stored personal data, as well as the purpose of the storage. You can freely revoke consent at any time with an explicit request communicated to contact@europdx.eu. You can freely request deletion or correction of their stored personal data with an explicit request communicated to contact@europdx.eu. EurOPDX is, however, obligated to verify your identity before any such requests can be processed. Therefore, you will be contacted within thirty (30) days of EurOPDX receiving your request, after which, upon successful verification of your identity, relevant personal data will be deleted or corrected within seven (7) days. You have the right to file complaints with a supervisory authority if it is thought that our processing of personal data infringes GDPR. Such activity will not affect or influence your future interactions with EurOPDX in any way. https://geant3plus.archive.geant.net/uri/dataprotection-code-of-conduct/v1/Pages/default.aspx, a common standard for the research and higher education sector to protect your privacy. If you have any questions regarding this data protection statement, our GDPR compliance, or data privacy relating to EurOPDX in general, please feel free to contact us at: contact@europdx.eu.